Colourful and vibrant, the richness of a Telugu wedding is unparalleled. With gaudy decorations with a simpleton appreciation of love and affection, the wedding takes course in a hefty affair of 7 days which previously used to last for 15 days. The modernized affair, sprinkles colour to the down to earth wedding rituals. The wedding rituals however tell a story of their own and shed light to the culture of this community that it proudly represents. 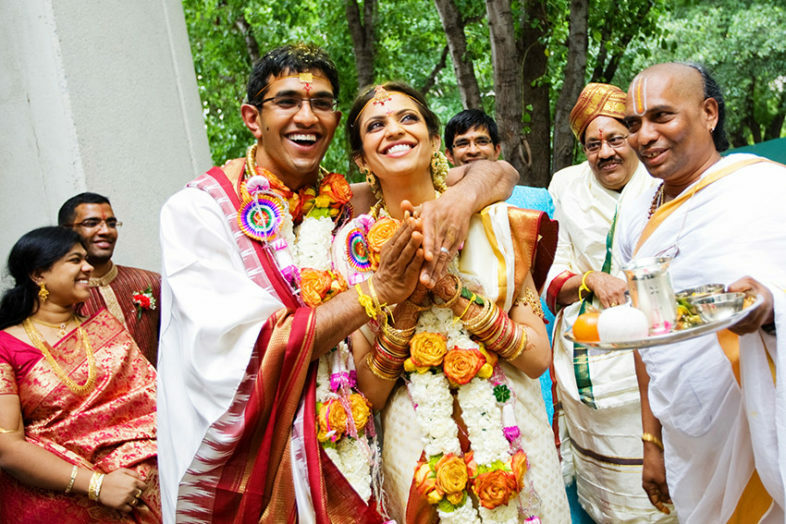 Muhurtham: the formal engagement between the bride and groom where the family of both jointly decide the date and time of the wedding that would be the most auspicious. Pendlikuthuru: This wedding ritual tasked place and both the houses of the bride and groom respectively. Here the two are applied with nalugu( paste of turmeric and flour) along with scented oils. After the cleansing process the two adorn themselves in new clothes and the bride is made to wear fresh flowers on her hair. Snathakam: one of the most important wedding rituals in a Telugu wedding where the groom is made to wear a silver thread across his body. Mangalsnanam: In the morning of the wedding day, this wedding ritual is carried out by taking the bride and the groom respectively for their ceremonial bath where they are purified and made to get ready for sacred rites to enchanted with. Before the wedding day, Gauri pooja and Ganesha pooja are done in which one is worshiped to symbolize victory of good over evil and fertility and the other is worshiped to dissuade any obstacle that comes in the to-be couple’s way. Kanyadaanam is where the maternal uncle of the bride carries her in a bamboo basket. In this wedding ritual, which is the first ritual of the wedding the bride and the groom are not permitted to look at each other till the priest reads out the sacred rites, due to which they were separated by a white cloth. Madhuparkam: in this wedding ritual, with the couple still separated from each other are made to change into new fresh attires where the bride wears a white cotton Saree with a red border and the groom changes into a white cotton dhoti with a red border. Mangalasootaram: here the groom ties two strings with golden discs attached to each around the neck of the bride to signify the union between the two. Sthaalipakkam is the wedding ritual which marks the end to the wedding, here the bride is made to wear new good toe-rings by the groom that signifies that the two have now become one. 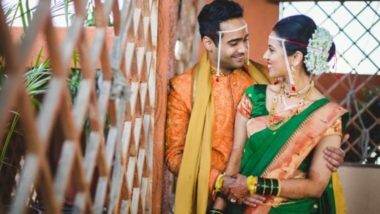 The post wedding rituals include the bride welcomed to her a new home and the uniting of the mangalasootaram that marks the unification of the couple in holy matrimony that signifies a married happy life for the two. This marks the end of a glorious wedding ceremony that celebrates colour and unity all in one and hails the concept of equality in marriage.